Evan Wheeler is a part-time faculty member for the College of Professional Studies (CPS) teaching a graduate level specialization course, Foundations of Information Security Management, to aspiring technology managers. This purely online course uses the latest in virtual education technologies to keep the content interactive and the students engaged. The next session for this course will be offered online starting in Winter of 2010. Evan Wheeler is an instructor and curriculum author for the Master of Science in Information Technology program teaching a special topics course, Information Security Risk Management, to future CIOs and IT professionals. 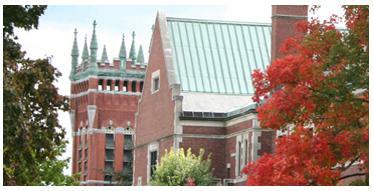 The next session for this course will be offered at the Worcester campus starting in Spring of 2010. Evan is an instructor in the SANS Local Mentor Program for the SEC 508 Systems Forensics, Investigation, and Response course and a technical reviewer for the new Security 427 - Browser Forensics course. He also contributed courseware content on attack methods, data retention concerns, and USB device security to Management 512 - Security Leadership Essentials for Managers, in an effort to revise the course to meet CompTIA objectives. 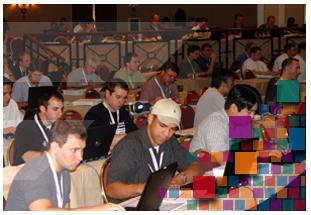 There are no future sessions of the Systems Forensics course scheduled at this time. Please contact Evan Wheeler or SANS if you are interested in attending an upcoming mentor session. Evan Wheeler will be presenting a free sneak peek of his new MGT442 Information Security Risk Management course during an evening event at SANS Boston. In this talk, we will demonstrate how to develop your own risk criteria by analyzing some recent vulnerability notifications. By the end of the hour, attendees will know how to analyze a new vulnerability report for the distinguishing characteristics that would make it a critical weakness for some, but a moderate concern for you. 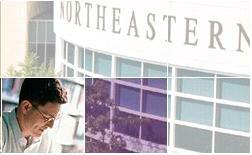 Northeastern University - Security Mgt. Copyright (c) 2009 The Ossie-Group. All rights reserved.